Ferdinand Waldo Demara, Jr was born at 40 Texas Avenue, Lawrence, Massachusetts at 7.30am on 21 December 1921. He wanted to become a priest, trying to enter a Trappist monastery on Rhode Island in 1935. Two further attempts at seminary life failed and in 1941 he joined the army. It was in uniform that he began the career of impersonation that led to his being labelled “The Great Impostor”. In 1942 he “borrowed” the life of his friend Anthony Ignolia and promptly went AWOL. Faking his suicide, he then became Robert Linton French, a doctor of philosophy. Caught, he served 18 months but, on his release, he continued to impersonate people. Demara was variously a doctor of applied psychology, an editor, a cancer researcher, a biologist, a hospital orderly, a lawyer, a child-care expert, a Benedictine monk, a Trappist monk, an accountant, a warder in a maximum security prison, a civil engineer and a doctor. It was during the Korean War that he had his most successful stint as an impostor in March 1951, when he passed himself off as Lieutenant-Surgeon Joseph Cyr of the Canadian Navy aboard HMCS Cayuga. Demara read medical textbooks before performing operations, some of them serious. Luckily, no one died as a result of Demara’s surgeries. On one occasion he removed a bullet from within 2 cm (1 in) of the heart of a soldier and received a round of applause when he finished the operation. The incident made the newspapers in Canada and one surprised reader was the mother of the real Dr Joseph Cyr. Demara was deported back to the States in January 1952. 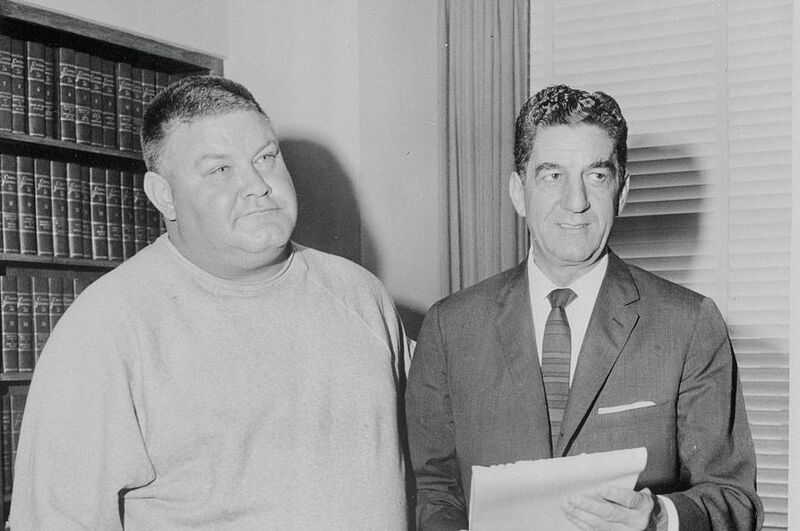 In 1956 he was jailed after being caught posing as Martin Godgart, a school teacher in Maine. The longest sentence served by Demara was 15 months.